Start­ing off, there are a lot of dif­fer­ent jour­neys to choose from in Death Road to Canada based on the length and dif­fi­culty you’re look­ing to under­take. You can take a shorter route, which gives you less time to pre­pare, but doesn’t take as long. You can increase the like­li­hood that cus­tom or rare char­ac­ters will show up to make things a bit eas­ier as well. If you’re feel­ing like a chal­lenge, there are also a large num­ber of options for increas­ing the dif­fi­culty, though the game is plenty tough on its own merit. Once you’ve picked a mode and selected a start­ing char­ac­ter, then it’s time for that cold and zany drive north. There are two major por­tions of the jour­ney in Death Road to Canada, bro­ken down by dif­fer­ent sorts of game­play. One is where you are on the road, mak­ing deci­sions about deal­ing with ban­dits, camp­ing and fix­ing the car. This sec­tion reminds me more of The Ore­gon Trail, in that most of your deci­sions are made via text and then the con­se­quences are suf­fered auto­mat­i­cally. Thank­fully, no one has died of dysen­tery ran­domly in any of my playthroughs, but death can still come swiftly and unex­pect­edly if poor deci­sions are made here. One of my favorite run­ning gags with this sec­tion is that you almost always have the option of just yelling “COOL IT!” in every sit­u­a­tion. It works about as often as you might think, almost never, but it was an amaz­ingly hilar­i­ous moment when it did work once for me. The other part if the jour­ney involves loot­ing and sur­viv­ing the swarms of the undead. These sec­tions play more like a beat ‘em up style game, where you’re using var­i­ous weapons you’ve acquired through­out your trav­els to plow through the zom­bie masses. The thing that struck me most dur­ing this sec­tion was the catchy and cheery music play­ing dur­ing these loot­ing sequences. 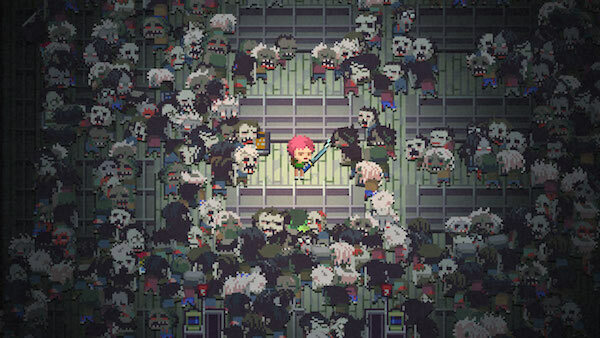 It actu­ally fits the goofy them­ing around Death Road to Canada quite well, but it felt a lit­tle off in terms of a bleak zom­bie apoc­a­lypse. That is, until I stayed out a lit­tle too late and let the sun go down dur­ing one loot­ing sequence. The music shifted and the tonal change hit me like a ton of bricks, send­ing me pan­ick­ing back to my car as the zom­bie horde grew to an immense size and my sight was blocked by the darkness. In most jour­neys, when the orig­i­nal hero has been felled, the jour­ney has come to an abrupt end. Death Road to Canada dis­agrees with this phi­los­o­phy and argues that if there is even one per­son remain­ing, why not con­tinue along to the end. Any time the sur­vivor you con­trol dies, if you have at least one com­pan­ion with you, then con­trol will be shifted to a new sur­vivor to com­plete the quest. Com­pan­ions do require extra food, but can be handy in com­bat­ing the zom­bie hordes and car­ry­ing on if you become chow for the undead. These com­pan­ions can be found ran­domly, or actively recruited in camps found along the road. Not all char­ac­ters are made equally how­ever, and often the com­pan­ions you find will have cer­tain strengths and weak­nesses. 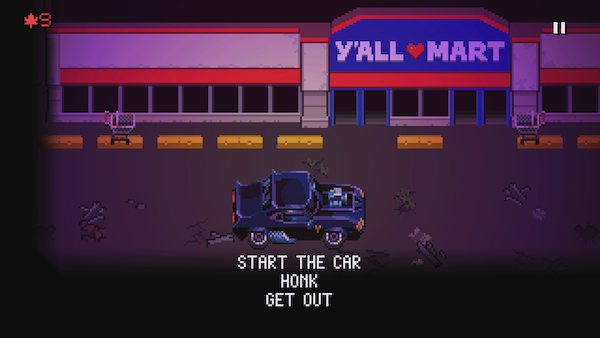 In one run, I found a very handy mechanic, who saved my car from break­ing down mul­ti­ple times, but they were ter­ri­ble in a fight. Though each jour­ney starts off fairly fresh, Zombo points can be earned through­out your runs to unlock bet­ter traits for your char­ac­ters that you use. This is the one aspect of pro­gres­sion made through­out the game. It’s a lit­tle tough to get your head around this sys­tem and I wish it were a lit­tle eas­ier to see what you’ve already unlocked, but I like the idea that there can be some pro­gres­sion, but each run is still basi­cally fresh. 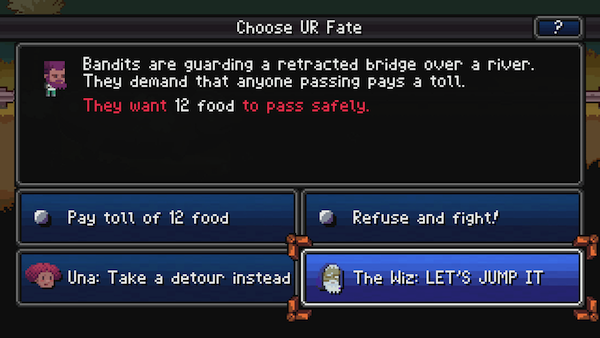 The humor in Death Road to Canada is prob­a­bly on its best traits. The goofi­ness is ever present, but doesn’t over­stay its wel­come. There were mul­ti­ple gen­uine laughs out of my var­ied runs through Death Road to Canada and the writ­ing is quite clever in the dri­ving sec­tions. 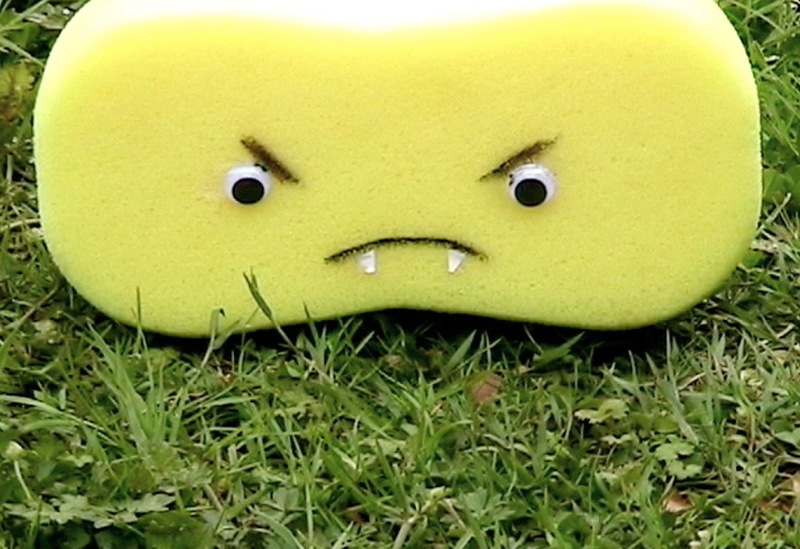 It can be a lit­tle cheesy at times, but noth­ing too egre­gious as to war­rant much more than an eye roll here or there. 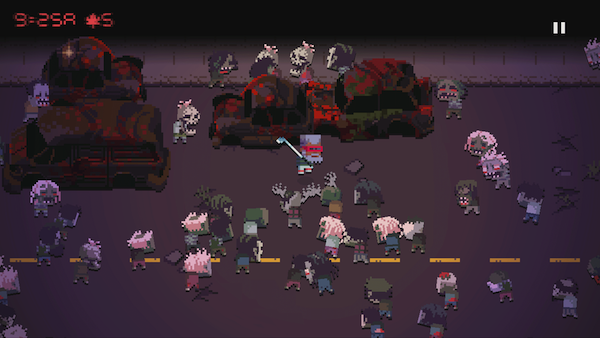 Death Road to Canada is a goofy and fun romp to the Cana­dian bor­der in a zombie-filled world. The dif­fer­ent game­play sec­tions are han­dled well and the writ­ing is sharp and clever, enter­tain­ing through­out the jour­ney. The ran­dom events that hap­pen through­out each playthrough make them all inter­est­ing in their own way and there’s a good amount of cus­tomiza­tion that can be done to add the player’s own spin. Now make sure to COOL IT and go grab a copy of Death Road to Canada today on PC, PS4, Xbox One, Nin­tendo Switch, iOS and Android. PS4 review copy pro­vided by Plan of Attack. This entry was posted in Bloggings and tagged Android, Ben Horn, Brawler, Death Road to Canada, Hamsterman2049, iOS, Nintendo Switch, PC, PS4, Review, The Oregon Trail, Xbox One, Zombies by Ben Horn. Bookmark the permalink.